THE TRIP: Taking the Brightline train from West Palm Beach to Miami to visit the Frost Science Museum. 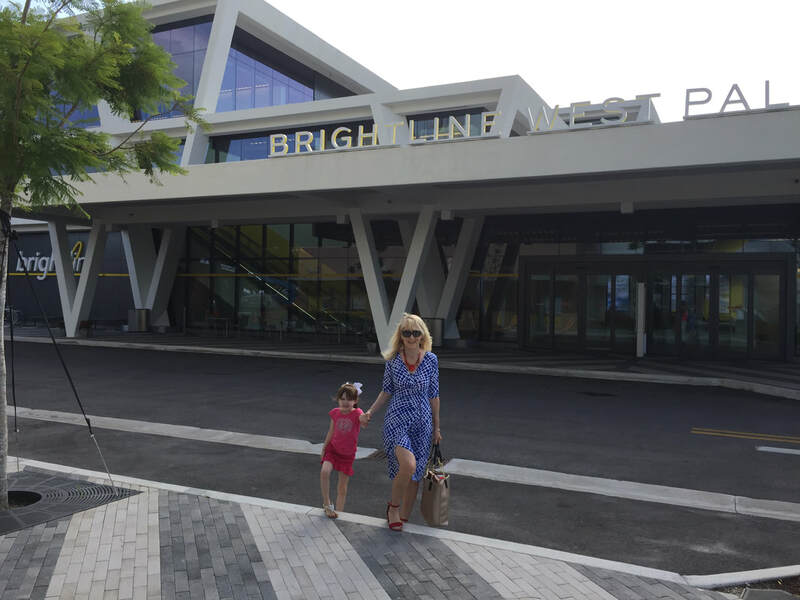 With Brightline now fully operational between West Palm Beach, Ft. Lauderdale and Miami, it creates all kinds of opportubities to plan day trips to area attractions and restaurants. 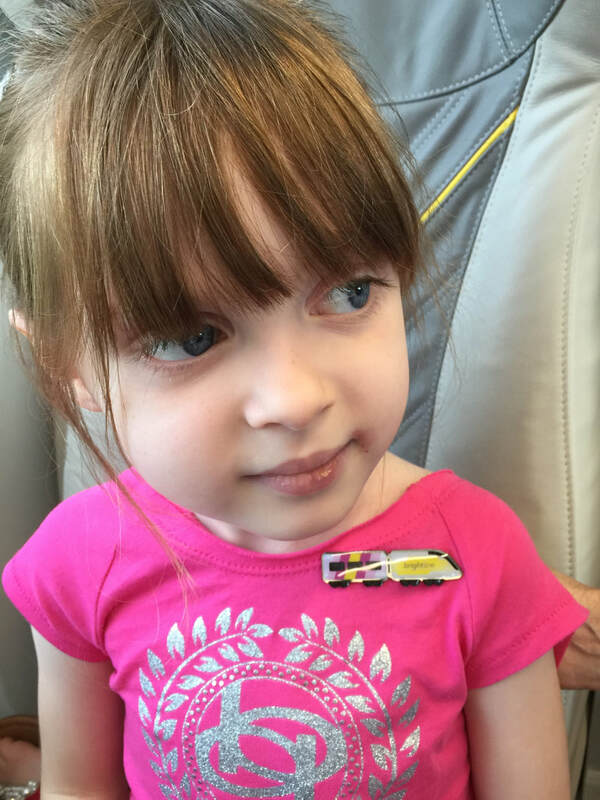 Recently, we did just that, taking our 5-year-old granddaughter, Cate, to see the Frost Science Museum in Miami. Why take Brightline? Our love of train travel aside, relaxing in comfort in a state-of-the-art train vs. the stress of the road wars on I95 -- it's a no brainer. 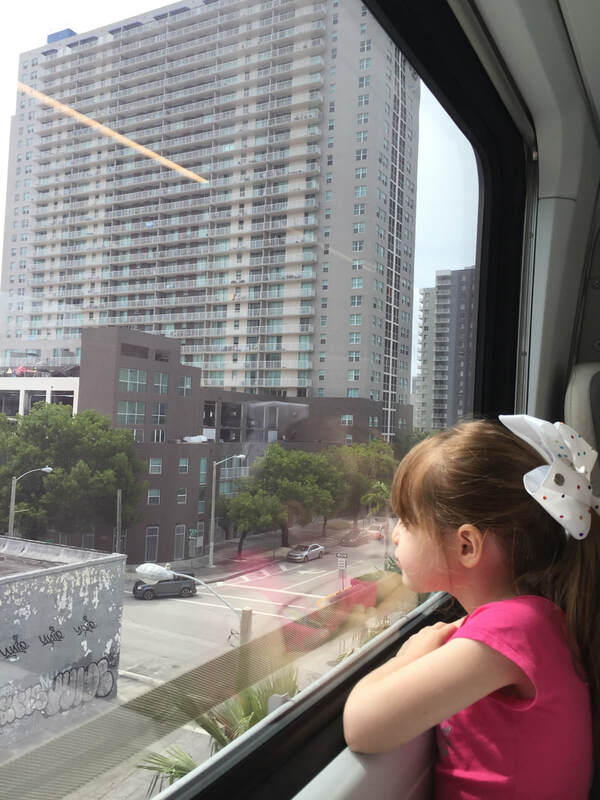 As a bonus, Brightline has a "Kids Ride Free" promotion going on, where children 12 and under can ride free in SMART coaches. It runs through Aug. 31. Parking. Parking in the garage adjacent to the West Palm Beach station has been free. Starting July 1, there is now a $6 daily fee, which you pay using the Pay by Phone app. Good idea to download the app beforehand. Getting Around. 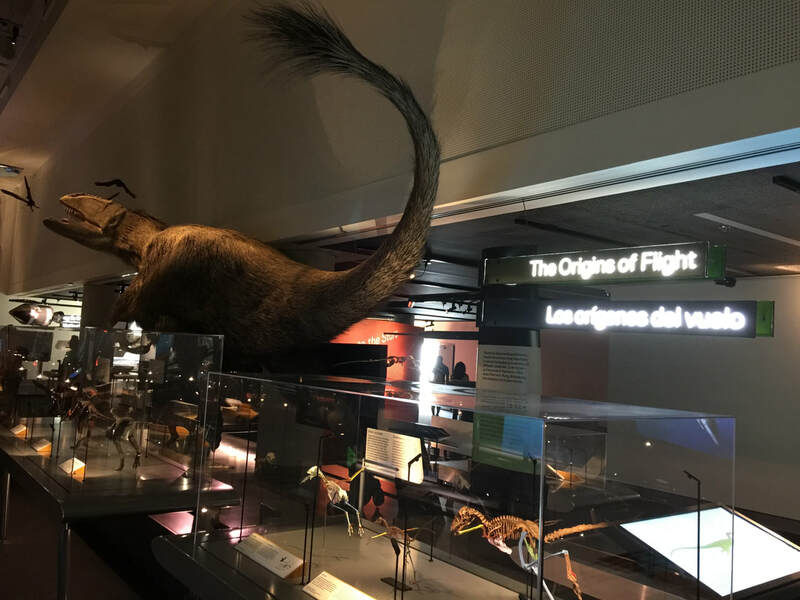 Once you arrive at Miami Central, you need transport to your next destination -- for us, the Frost Science Museum. This was our chance to try out Brightline's partnership with Lyft, the on-demand car service. We fired up the Lyft app and requested a ride. It worked like a champ. There is a pickup area just outside the terminal and the app informs you who your driver is, what kind of vehicle and how soon they will arrive. It's very impressive. Plus, the drivers both going and coming back were friendly, courteous, and the cars were very clean. The fare was $7 and change each way, plus tip. Not bad at all. The Frost Science Museum. 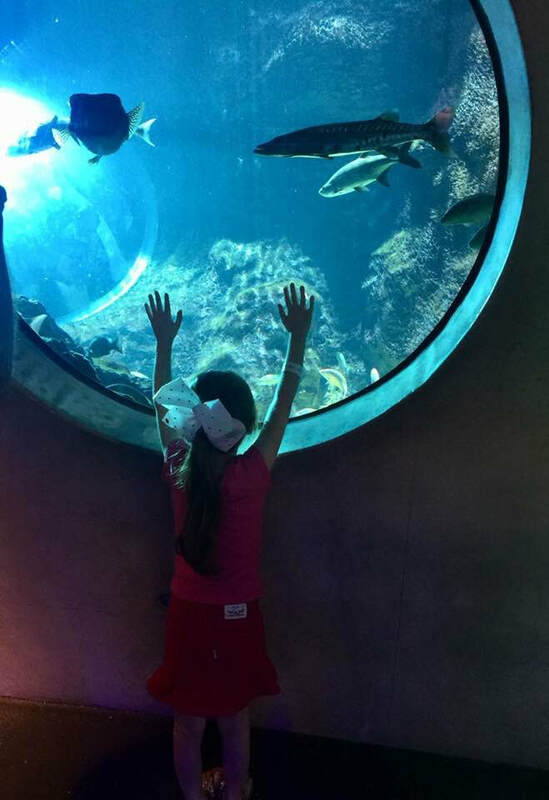 This was our first visit, and we were amazed at just how much there is to see and do for kids and adults alike. 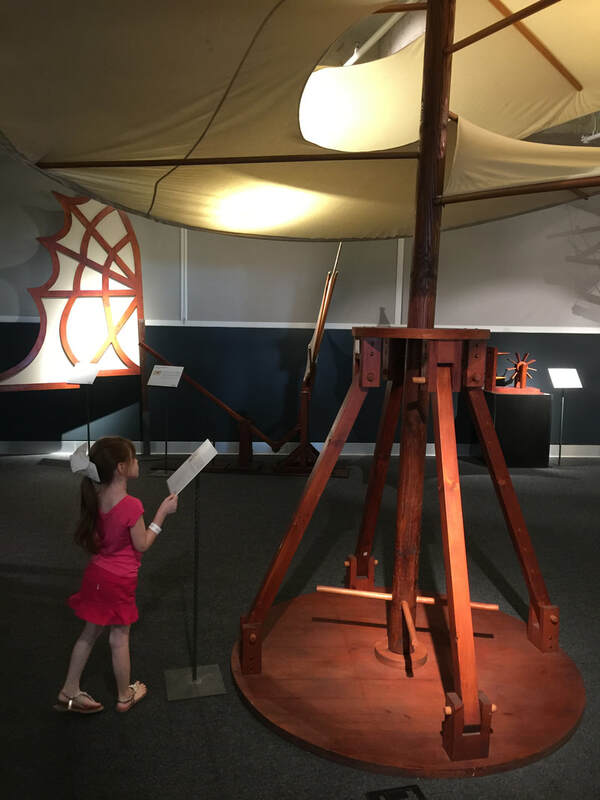 With six levels of exhibits, displays and interactive activities, there's no way to see and do it all in one afternoon. Cate had a blast. 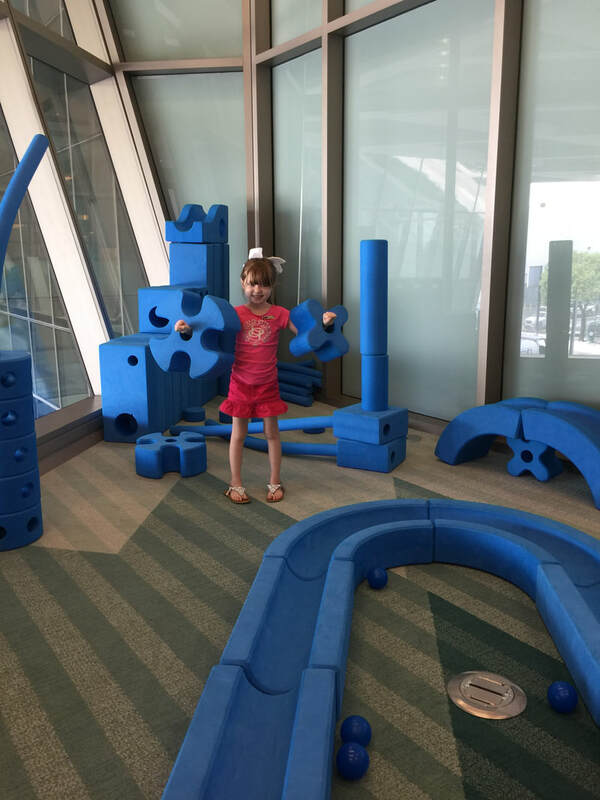 She joined scores of others dancing on the flashing floor circles in the MeLab, navigated the "River of Grass" with an oversized flashlight and went on a trip into space at the Frost Planetarium. 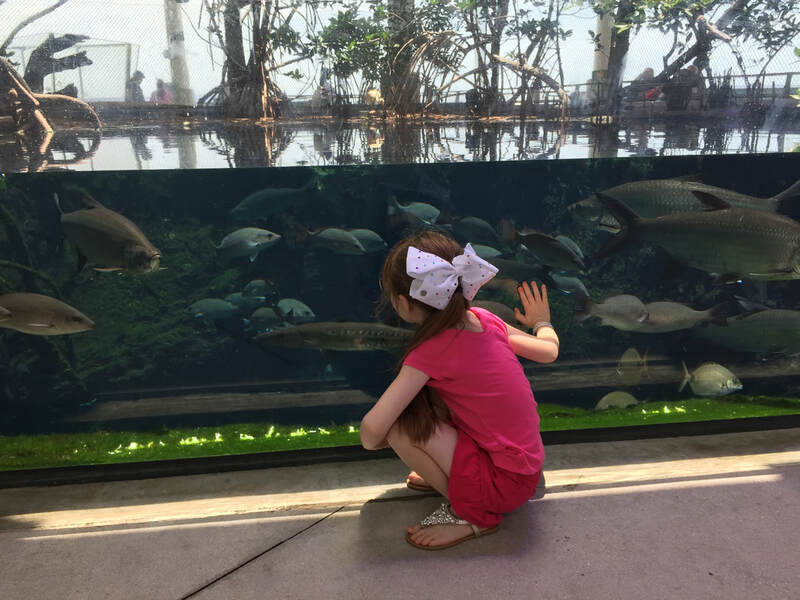 Numerous aquarium areas bring you up close and personal with fish of all colors and sizes (Cate of course spotted "Dory" and "Nemo"), while we enjoyed exhibits like "Feathers to the Stars" and "Da Vinci -- Inventions." 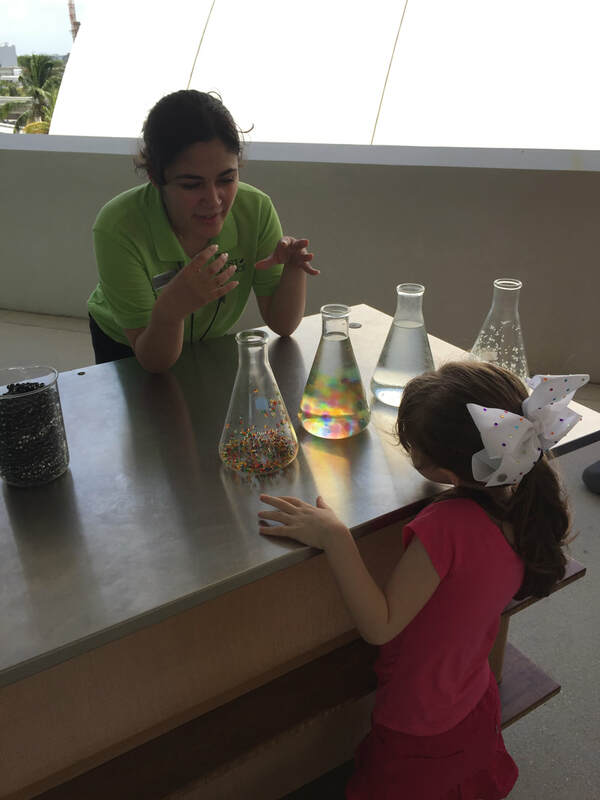 Museum workers in green shirts are happy to answer questions and give directions, as well as perform experiments that make learning fun. There's also a cafe where you can power up with food and drink. 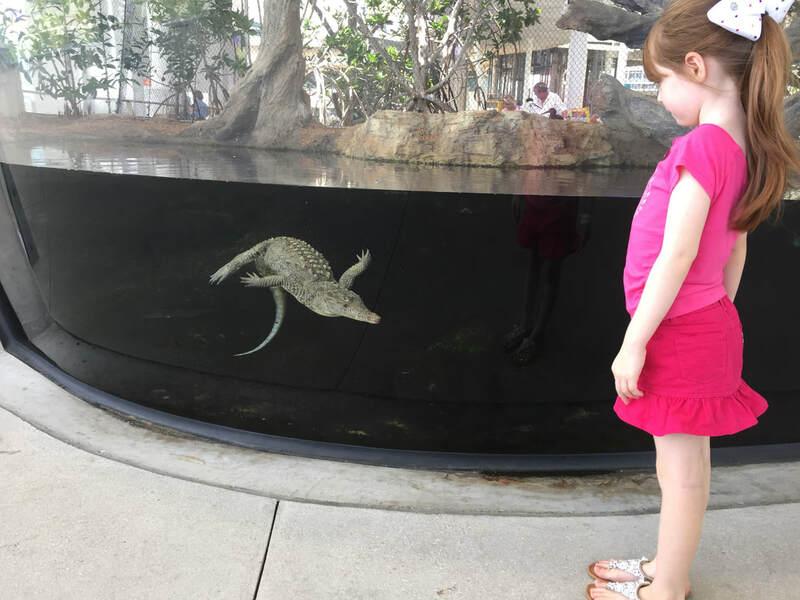 Glad that critter is on the other side of the glass! "The buildings are so big!"